Hello. 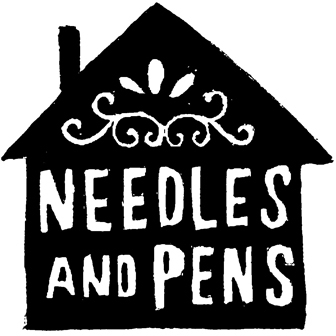 Needles & Pens is moving to 1173 Valencia St. San Francisco, CA. 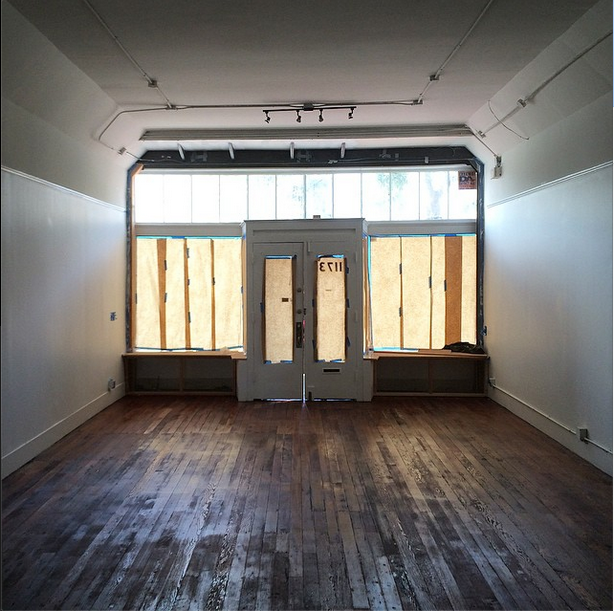 94110 (btwn 22nd-23rd Streets) while our 16th Street space is being retrofitted. 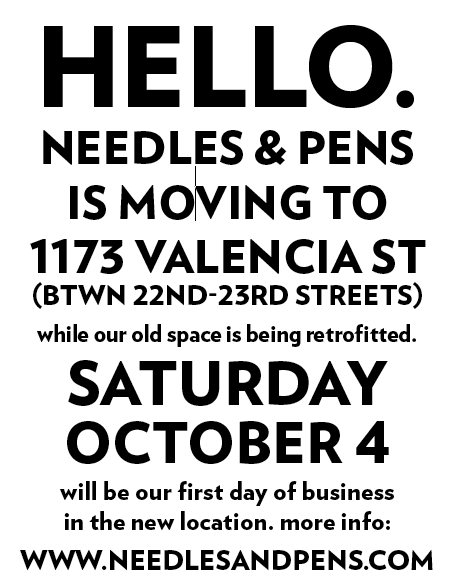 Saturday October 4 will be our first day of business in the new location. » We’re up and Running on Valencia Street!